These two listings have been reduced and can either be sold separately or as one! Combined Price for ALL is $430,000! 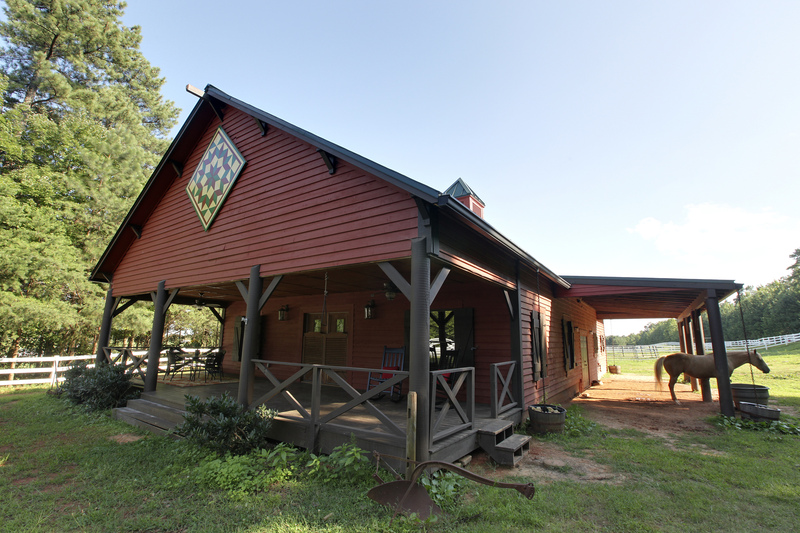 Your dream Equestrian Opportunity with that mountain feeling without the drive! This is an ideal opportunity to build your dream home on a private & gated 13.5 acre parcel with access to trails to the top of Little Mountain with panoramic views of the mountains, Charlotte, & Lake Norman. Meanwhile keep your horses in the charming 4 stall barn, & grazing pastures. The barn includes a 1080 sq ft Studio apartment, 2 tack rooms & hayloft. Cute kitchen features granite counter, rustic cabinets, center island. Apartment does have a strong rental history since renovated & currently rented for $1400 per month through May 5th of this year. Includes utilities, WIFI & security system. Barn with 1080 sqft. Studio Apartment to be sold with adjacent lots. Combined lot total acreage is 19.60 & would give access to mountain trails @ top of mountain & additional parking for barn. Great location with quick access to the lake, shopping, the New Hwy 16, Charlotte & airport. COME LIVE YOUR DREAM! Owner is Licensed NC Realtor & the listing agent.